Kale is on of the best super foods for your body. Make sure to steam kale donor is not bitter! Pull leaves off stem of kale and steam for 2-3 minutes. Place i. Freezer to get cold. 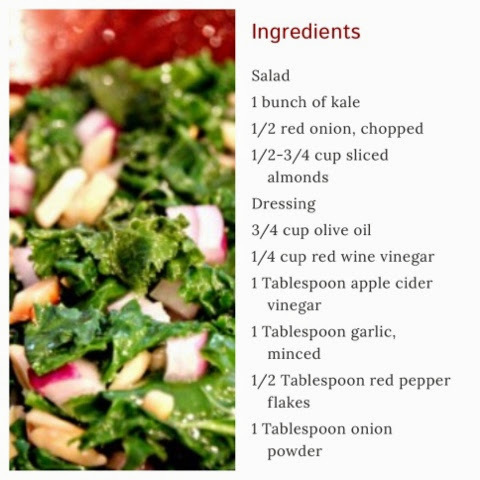 Mix remaining ingredients to chopped kale. Serve dressing on the side will have plenty left over! Enjoy! !